Country shows celebrate the very best of countryside life. From agriculture, to equestrian activities to rural pursuits. 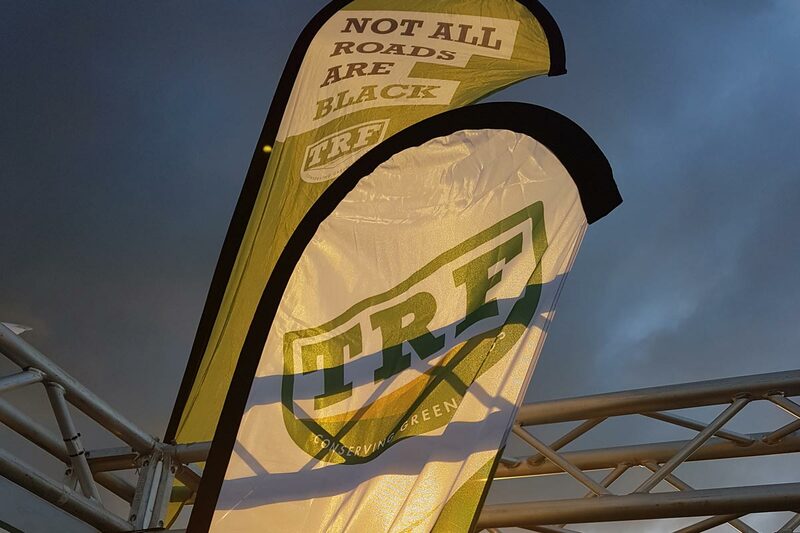 So it makes sense that this year the TRF would break new ground by making sure that trail riders are represented at two of the biggest shows in the UK. 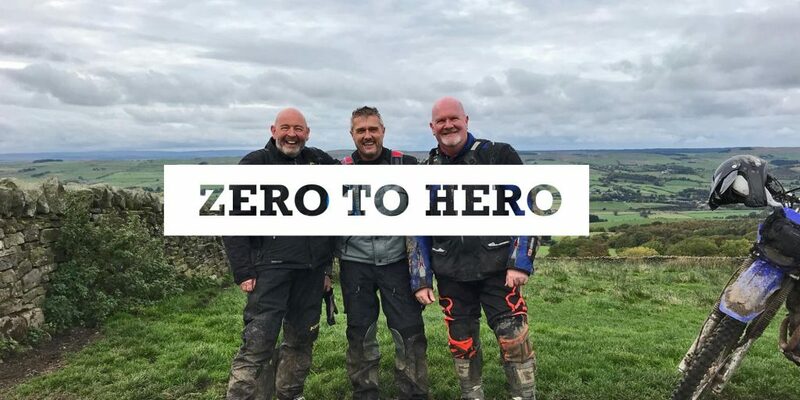 We caught up with TRF Director, Mario Costa-Sa and new member, Tom Carnell to find out what it takes and what trail riders get out of being part of 'the club'. Hi Mario. Looks like you’ve had a busy summer! 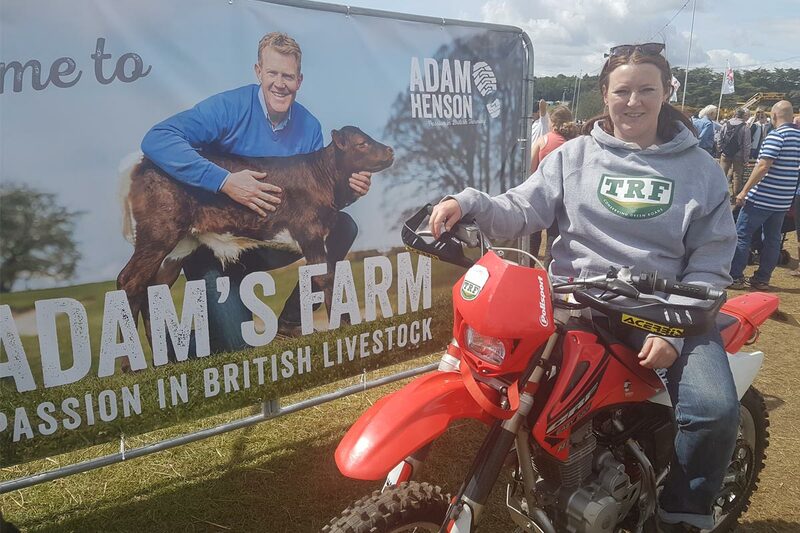 A real step up for the TRF becoming involved in some of the biggest country shows in England. Where have you been exhibiting? What was the thinking about taking part? Is this all part of the TRF’s conservation strategy? Conservation is looked after by Dave Carling. 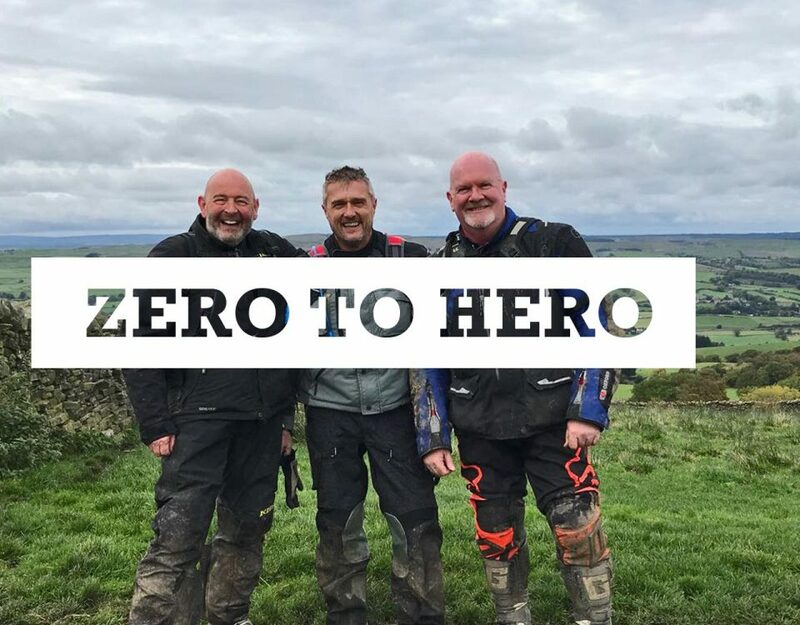 It covers our work with safeguarding the way TRF members conduct themselves on the trail and changing the behaviours of all trail riders to ensure the sustainability of our pastime. 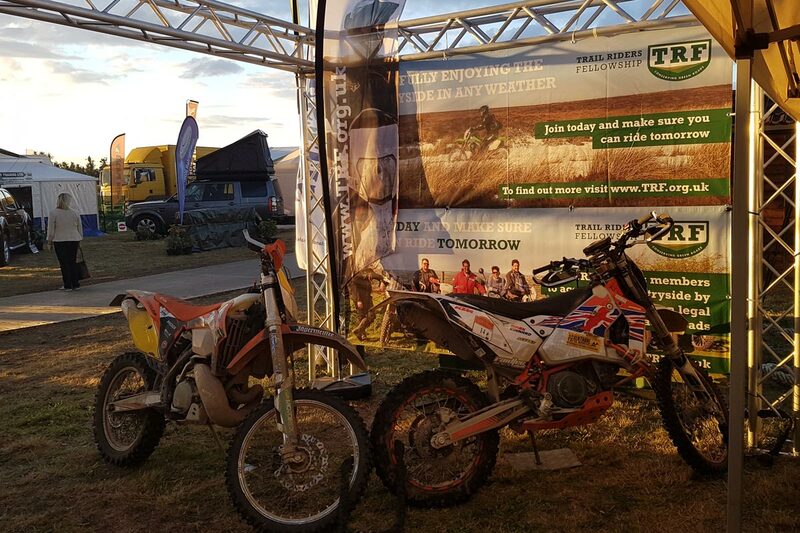 Our presence at Countryfile Live and Gamefair is somewhat different in that we are not targeting trail riders or even bikers. 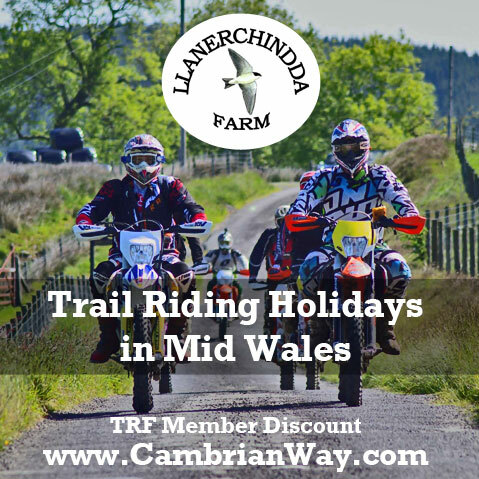 The thinking of the CF & GF presence is to reach out to the wider public and landowners respectively, and inform them about the legality of trail riding and our work on social responsibility and benefit to the community when trail riding. The benefit to the TRF, and trail riders as a whole, is that you never get a second chance to make a good first impression. By talking to people in a positive environment away from the trail, we hope to set the scene for further positive encounters when they come across us on the trail. The main point of learning was It was interesting that Gamefair - visitors discussed the problems with anti-social riding from a landowner’s perspective including some interesting insight into some of the factors that cause it. They were generally well aware that the majority of trail riders were responsible and we agreed that a minority were causing any issues. By contrast CF was 100% positive – out of thousands of visitors over the long weekend, not one report of irresponsible trail riding or problems in the countryside. All the visitors were up for trail riding and wanted to know how to get into it! We have been trying to get a place at these shows for several years. 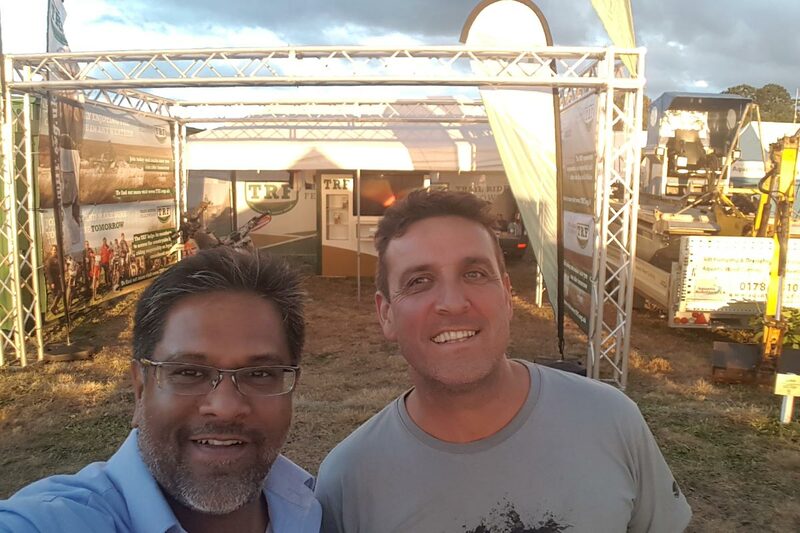 We had no success at the old CLA Gamefair, and a chance encounter with the new marketing manager of The Gamefair opened the door to us for our booking. The TRF had featured on Countryfile a couple of years back with Wilts TRF which we were very pleased with, and we finally got a place on the show site this year. What goes into pulling something like this off? I’m guessing you put a bit of effort into making sure that the TRF were well presented? 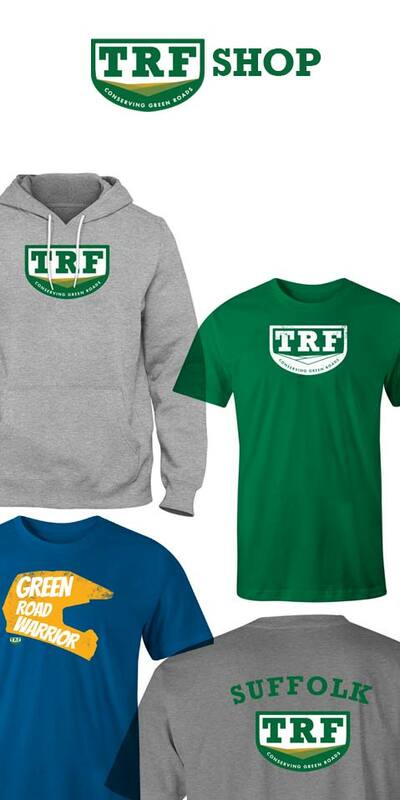 The feedback received so far has been that the TRF has never looked better at a show. We are keen to get new creative ideas to improve further and build on the success of our presentation this year. I have a long list of improvements to action from the volunteer team and particularly from Tom Carnell the event manager. A project like this normally has a corporate budget of tens of thousands of pounds. We work to budgets of a few hundred. Despite financial constraints we like the TRF to punch above our weight. We deliver presentation improvements though the generous work of our TRF volunteers and creative input before we even get to the site. Tom Carnell of Glos TRF with event management and stand position, Rupert Trigg of Norfolk TRF and Director of www.dualcreative.co.uk for the new TRF banners, Gary Wrench a new TRF Member and Director of of www.codeav.com with the truss system that lifted the whole stand and Stuart Ward Owner of Peak Design for the TRF desk & TV unit all deserve special mentions. 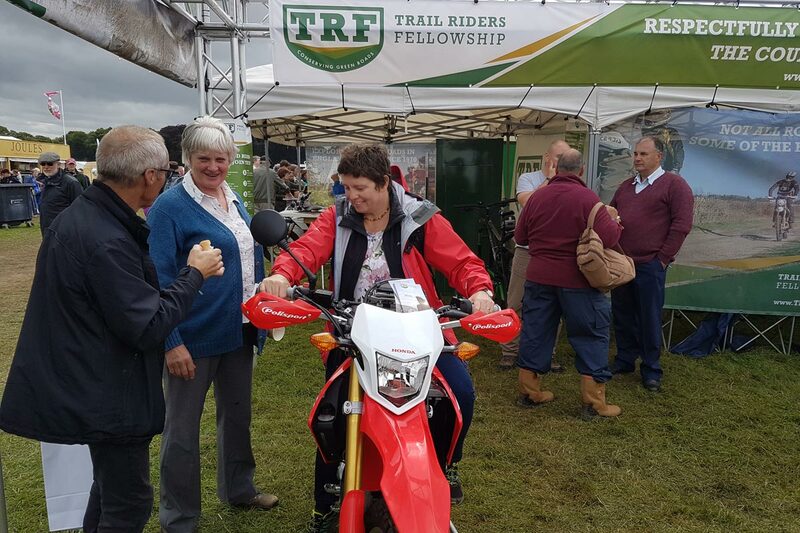 It would be great to have more TRF members ideas and input on stand for our next show at Motorcycle live at the NEC or even next summer’s events. Let us know if you are up for arranging this and what resources you would need to create a eye catching display. The main factor is finding a good event manager, and in Tom we found a great one. Tom is a rising star in the TRF and it was his work that found the volunteers we needed to make the show a success. I am going to hand you over to Tom who was event manager for the show. This was the first event that I managed that was supported by volunteers rather than paid members of staff. The fact that we were all working together as volunteers gave us all a shared sense of purpose and camaraderie and devotion to ensuring that the stand was built quickly, the stand was staffed well with good levels of staffing on each day and the message was consistent that we put across to the public. From my point of view I couldn’t have done this side of the show without the volunteers as I had only just joined the TRF and had only taken part in one organised ride prior to The Game Fair – so it was a great opportunity to learn from the members and meet people with unique experiences such as Fern, David, Rhod, Robin and Mark. Without all the support of the members that helped the events would not have been as good and as unique as they were. We have had some great suggestions for next year – stand location, stand content and how we can improve what we did. What would be really nice would be to see some more volunteers come and help out – the more volunteers there are means that there is more time for people to look around the show as well. 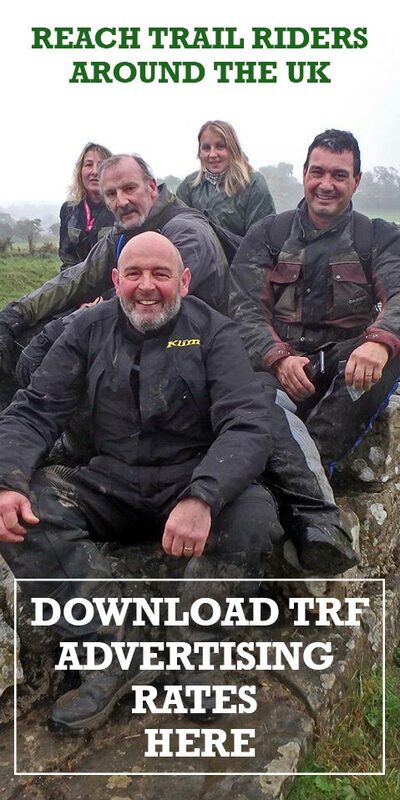 It also is a great opportunity to meet new members from different regions – I’ve ended up with invites of rides all over the UK which wouldn’t have been possible without being at these events. What was the reaction on the ground? We had a good response from the public. 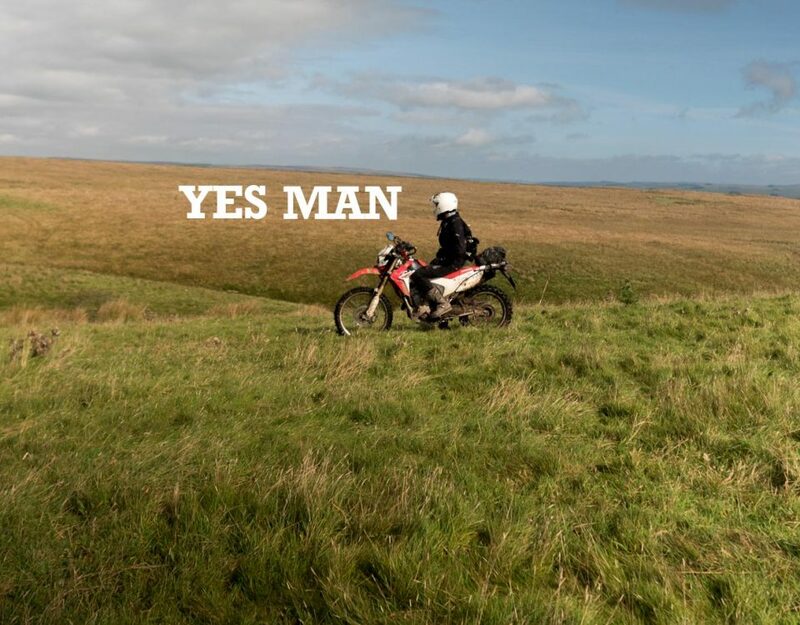 We met people from all walks of life – from children who saw the bikes and wanted to sit on them and have their photos taken to teenagers wanting to learn to ride, Farmers whose land we used and other users of the green lanes and potential new recruits. The general attitude was positive and if anyone came on the stand with a negative attitude the team soon changed it by way of a positive discussion. This would not have been possible with a Facebook page or forum post – it helps so much to have these discussions on a face to face level with people in surroundings that they are comfortable with and with no need of confrontation. These discussions are good for the TRF – we may not have come away from these events with a huge list of new recruits but what we did do was effectively engage with the public and won some hearts and minds. 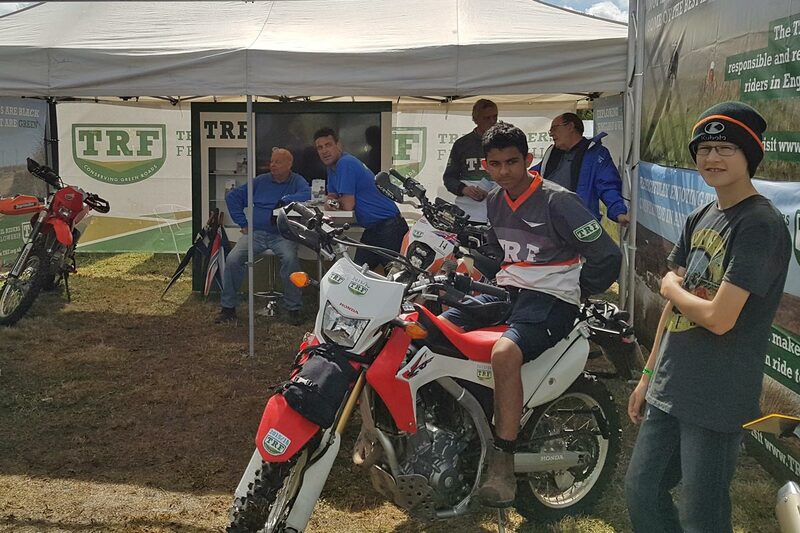 The most talked about part of the stand were the bikes! 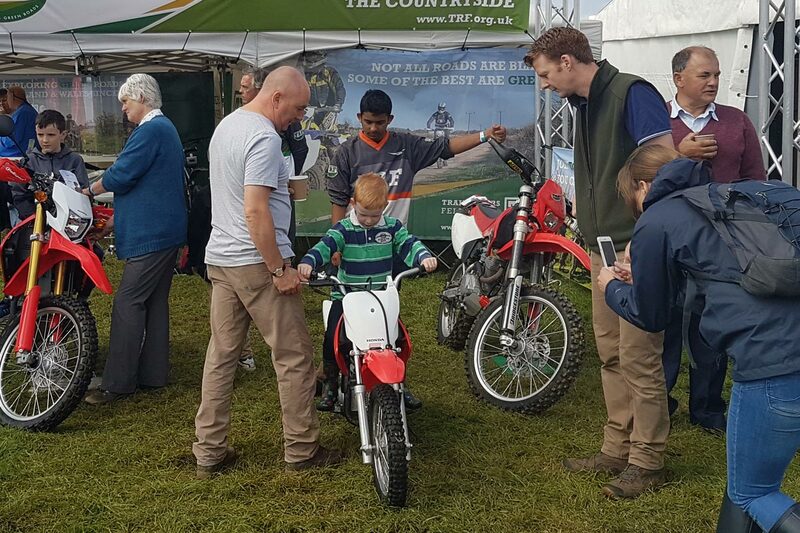 We had a mix of different sizes of bike – from a child’s 80cc bike to a 350 cc Honda and an electric bike too. These drew people into the stand – the child’s bike must be the most photographed bike in the UK! 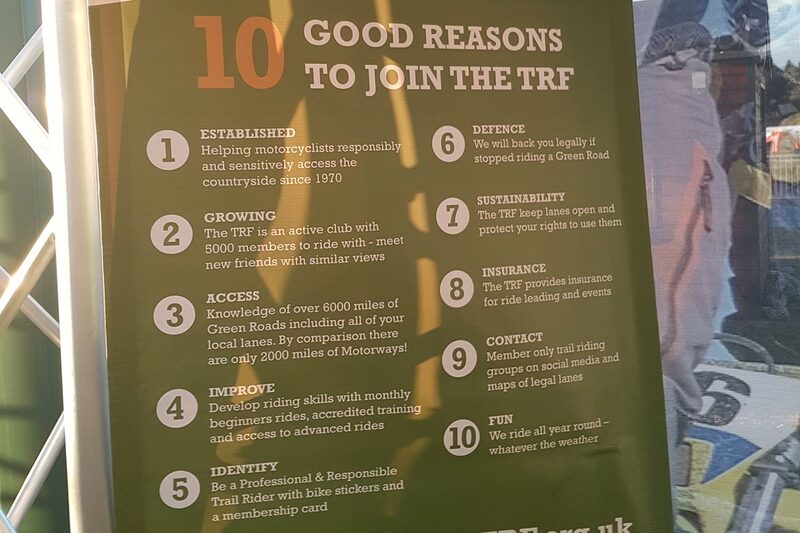 It’s great to see the TRF stepping up to these opportunities, I think most members would appreciate the effort that goes in to making this happen. Will we be seeing you on the stand next year? Next year we will look to do both GF & CF, if Tom as event manager is up for it. It would be useful to extend this into other sectors e.g. the equestrian sector and hopefully exhibit at a large equestrian show and a Ramblers / Walkers event. 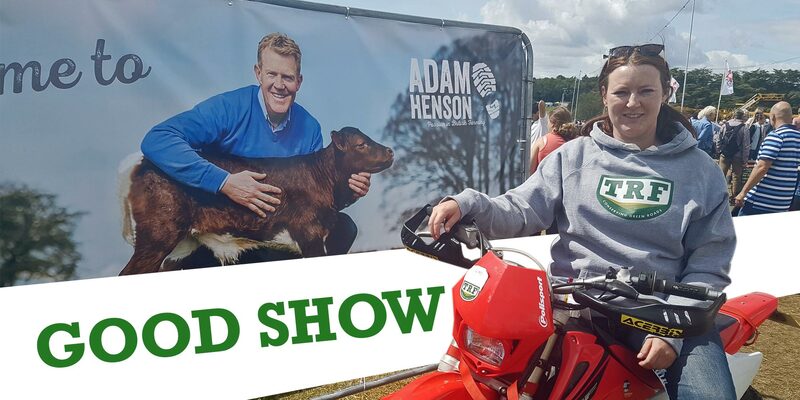 Before this, in November Robin Hicken will be managing our presence at Motorcycle Live at the NEC, and Alcuin Wilkie has volunteered to manage the London show in February. 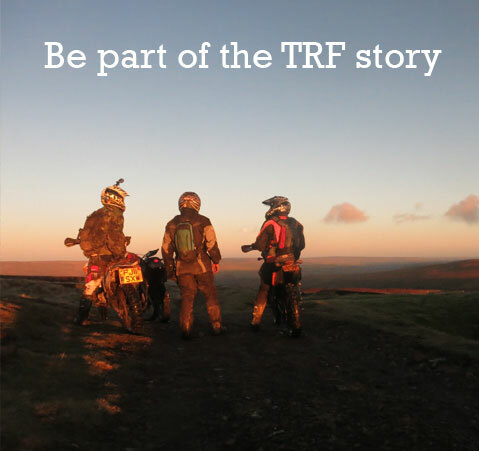 Given the tremendous interest from the wider public we need to create and promote a network of training partners who can take non and beginner riders and train them in the TRF’s ways, proving them with bikes for on trail bike owners and private access solutions for non-licence holders. What is most reassuring is that local groups have started to follow up with their own initiatives at a local level; county shows and bike meets. TRF Marketing has the infrastructure to support these at a local level – brochures, banners and sign up process.